If you’re an avid reader, then you’ll know I love a good skincare routine. Over the last few years I’ve made more of an effort to look after my skin and an integral part of that involves curating a collection of skincare products that work for me. This is just one of the many reasons why I love trying new skincare products. My recent skincare routine involves five hero products from Dermalogica. Dermalogica is a multi award-winning brand that’s been on my radar for a while now and having heard and read so many positive reviews I knew I had to give these products a go. Dermalogica is all about improving your skin’s health by using combinations of carefully sought ingredients that deliver results. The moment I first applied this I instantly knew why the PreCleanse is one of Dermalogica’s top selling products. The smell, the texture, the results – I knew it was going to become a skincare staple of mine. For those that don’t know, a pre-cleanse rinses debris from the skin’s surface before allowing your everyday cleanser to penetrate the skin even further when cleansing. This deep-cleansing oil melts away layers of impurities, make-up, excess oil, sunscreen, environmental pollutants and any residue from products that build up on the skin throughout the course of the day. With skin fortifying Borage Seed, Kukui and Apricot oils, the PreCleanse not only helps to achieve a deep clean, but also healthy-looking skin. Every evening, I use a couple of pumps on either dry skin, or mix the oil with a little water to create a milky emulsion. I absolutely love how this feels on my skin, the smell of it and how it effortlessly removes all of my make-up, including my mascara. This PreCleanse has not only become a skincare staple in my routine, but it’s become my favourite product from Dermalogica. 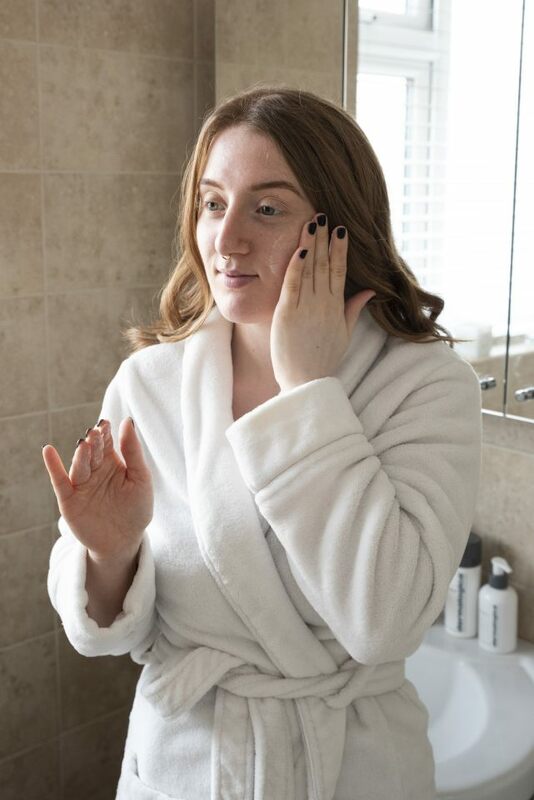 Step two in my double cleanse involves the Special Cleansing Gel, which cleans deeper into the skin without disturbing the skin’s natural moisture balance. This soap-free, iconic cleanser, which contains naturally-foaming Quillaja Saponaria, gently rinses away toxins and debris to leave skin feeling smooth and clean. This cleanser also features calming balm mint and lavender extracts to soothe the skin. I use this cleanser every morning and night and I’ve found it works really well with my skin. Not only does it give my skin a deep clean, but it’s really helped in eliminating my oily t-zone, which usually gets worse as we move into the summer. Winner of more than 50 awards in the UK and another one of Dermalogica’s top selling products, the Daily Microfoliant is another one of my skincare favourites. I love a good exfoliant and I found this one to be different than any other scrub that I’ve ever used. It surprised me to find that this exfoliant is a powder that you mix with water to create a paste that you then apply to the skin. The powder activates upon contact with water, releasing Papain, Salicylic Acid and Rice Enzymes to polish skin to perfection. 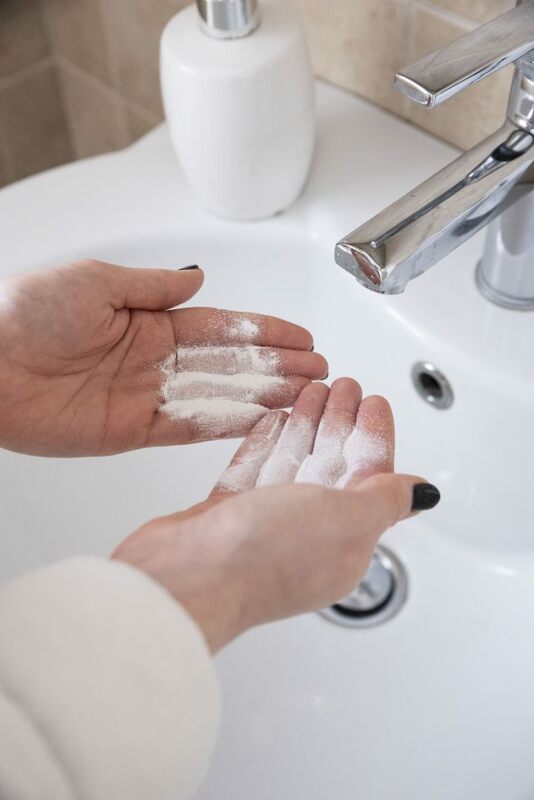 With a Skin Brightening Complex of Phytic Acid from Rice Bran, White Tea and Licorice the Daily Microfoliant helps balance uneven skin tone while a super-soothing blend of Colloidal Oatmeal and Allantoin calms skin. Since using this once, or twice a week depending how my skin feels, I’ve noticed my skin looks a lot smoother and brighter. Plus, I’ve found the exfoliating powder to be very gentle and not abrasive. It’s so important to keep your skin hydrated, which is why I was super excited to try the new Skin Smoothing Cream. This next generation moisturiser has Active HydraMesh Technology that infuses skin with 48 hours of continuous hydration and helps protect against environmental stress. Another best-seller, the Skin Smoothing Cream features state-of-the-art complex that works on a molecular level to help reduce Trans-Epidermal Water Loss and infuse skin with 48 hours of vital moisture. This advanced technology also helps shield skin’s natural microbiome from environmental stress. With a dynamic Hyaluronic Acid Complex with Mallow, Cucumber and Arnica distributes hydration throughout the skin, helping to lock in moisture for lasting hydration. Also formulated with naturally-antioxidant Grape Seed Extract, Vitamin C and Vitamin E.
This product is probably the main reason my skin is looking and feeling its best. Not only does my skin feel softer and more supple, but my skin has a natural glow to it. Plus, I believe this moisturiser has contributed to solving my oily t-zone problem, as sometimes your skin produces more oil when it’s lacking hydration. The SkinPerfect Primer is not your average primer, in fact, this product ticks all the right boxes. Smoothes fine lines, tick. Brightens the complexion, tick. Primes skin for a flawless make-up application, tick. These results are all down to its unique formula, which boasts a combination of Soy Protein, Pearl Powder and a potent peptide. The Soy Protein helps even out skin texture, creating a smoother surface, while the Pearl Powder and other natural earth elements provide a neutral tint for visible luminosity and radiance. A potent peptide within the primer helps support skin firmness as a broad spectrum sunscreen helps shield against sun damage triggered by UV light. I love that I’m getting more from this primer than just your average base product, and I especially love that is has an SPF. Since using this I have noticed my skin looks more radiant when wearing my foundation and my make-up does last longer too. I personally think this is a great combination product that eliminates the fuss of having to put on a lot of products while still ensuring all the main factors you want from a product are covered. 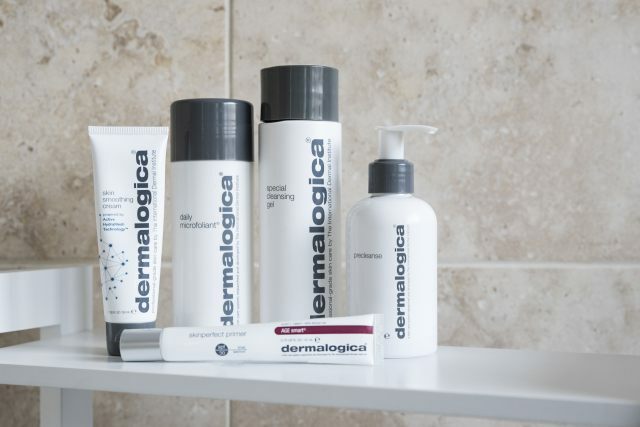 Have you tried Dermalogica? If so, what’s your favourite product? Want more skincare, make-up or beauty reviews? Check out my beauty section here. Love all of these, Dermalogica have some amazing picks.